With more and more devices being introduced into vehicles to provide additional driving functionality, driving experience is seemingly getting more complex and frustrated due to an influx of individual messages. To help manage the information, individuals need a mechanism to orchestrate the operations of the in-vehicle devices so that such frustration can be eased. In this study, the authors propose an in-vehicle communication scheme for multi-system integration, where an effective system service discovery protocol is used. This proposed design also contains mutual communication methods and the data exchange methodologies for system integration. Experimental results with performance evaluation demonstrate the success of the proposed design. In recent years, the vehicular communication networks have become an important issue and received many attentions. Most of developed countries are currently active in developing the so-called “Intelligent Transportation Systems” (ITS). Since 1990, the California Partners for Advanced Transit and Highways (PATH) has been developing the short range inter vehicular communications, Wireless Access in Vehicular Environments and Dedicated Short-Range Communications (WAVE/DSRC) (Morgan, 2010), which describes the vehicle to vehicle (V2V), vehicle to roadside (V2R) communications. The related standards, IEEE 802.11p (IEEE 802.11 Working Group of the IEEE 802 Committee, 2010) and IEEE 1609 have been developed for the supporting of wireless short range communications in ITS and introduce some corresponding applications like emergency warming, real time traffic and road information and remote assistance by connecting to back-end server in the roadside. IEEE 802.11p specification is based on Wi-Fi (IEEE 802.11a), which also defines the MAC and PHY layer protocols in WAVE/DSRC (Lin, Chen, & Lin, 2010) for multiple ITS applications (Lin, Lin, Liang, & Chen, 2012). These standards include supporting data exchange between high-speed vehicles and licensed ITS band of 5.9GHz (5.85~5.925 GHz) with 5MHz, 10MHz and 20MHz channel bandwidth. The WAVE/DSRC standard takes IEEE 1609 as the upper layer standard and also support the ordinary IPv4/IPv6 communication protocols. 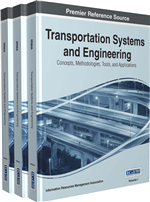 IEEE1609, according to its functionalities, can be divided into four main sub-standards, which include Resource Manager (IEEE 1609.1) (Intelligent Transportation Systems Committee, 2006), Security Services for Applications and Management Messages (IEEE 1609.2) (Intelligent Transportation Systems Committee, 2013), Main Network Service (IEEE 1609.3) (Intelligent Transportation Systems Committee, 2012) and Multichannel Operation (IEEE 1609.4) (Intelligent Transportation Systems Committee, 2010). These sub-standards would define the main properties in WAVE/DSRC used in ITS for supporting up to 1 kilometer short range communication and vehicular transmission under 200 kilometers per hour speed. On the other side, the fast developing third generation (3G) and Long Term Evaluation Advance (LTE-A) (Abeta, 2010) techniques would focus on developing the Internet of Things (IoT) and massive machine type communication (MTC) deployment (Gotsis, Lioumpas, & Alexiou, 2012; Zheng, Hu, Wang, Xiang, & Dohler, 2012). One of the important issues is about the vehicular communication over the cellular network with combination of the small cell deployment (Maviel, Cordonnier, Lostanlen, & Gorce, 2012). These techniques support the remote connections between the vehicular units and the back-end servers which would be used in remote driving conditions diagnosis, emergency notification and real time rescue. Not only for the pure data communications, but also audio, video and corresponding media streaming data transmission construct the fast, real time and sustained communications. With the help of the technologies of communication, information, navigation and control systems, the ITS will improve the convenience and safety in driving environments. In the near future, a safe, convenient, and even entertaining driving environment would be constructed based on the above techniques. But there are still some problems needed to be taken into consideration for better progress, one is the data loss and collision problems with more and more devices being introduced into vehicles. Since it is general for one modern vehicle embedded with multi-system devices, such as event data recorder (EDR), navigation system, diagnostic system, etc., and these multi-system devices continuously communicate with the roadside units or other vehicles via WAVE/DSRC or the remote servers via cellular network. This will cause some unmanageable events and exceptions for data loss and collisions in developing related vehicular communication systems.